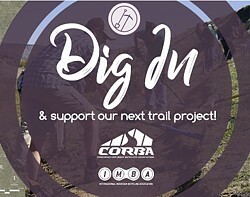 IMBA�s Dig In campaign is live! Our Sapwi Bike Park project is moving forward (see next story) and you can help make it happen sooner. Sapwi Bike Park will be free to the public, featuring jumps, drops, pump tracks, flow lines, trails, and as much stoke factor as you can have on a bike! It doesn�t matter how big or small your donation, every cent counts! 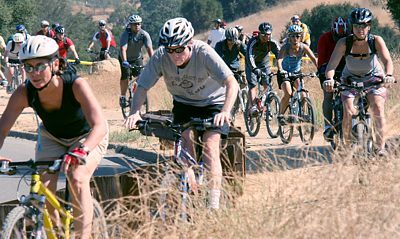 On October 10, 2016, the City of Thousand Oaks approved the Sapwi Trails Community Park master plan, including bike park amenities for which CORBA and the mountain biking community had so enthusiastically advocated. Since that time the Conejo Recreation and Parks Department (CRPD) has been moving the project forward. They received grant funding from the Santa Monica Mountains Conservancy, the City of Thousand Oaks and other sources for park facilities such as fencing, parking, playground, and other amenities. CRPD have awarded a construction contract, and work on the larger park facilities has begun. Earlier this year CORBA formed the Sapwi Committee to oversee the bike park project. The committee have been meeting monthly, discussing the park, refining our vision, and strategizing our best path forward. 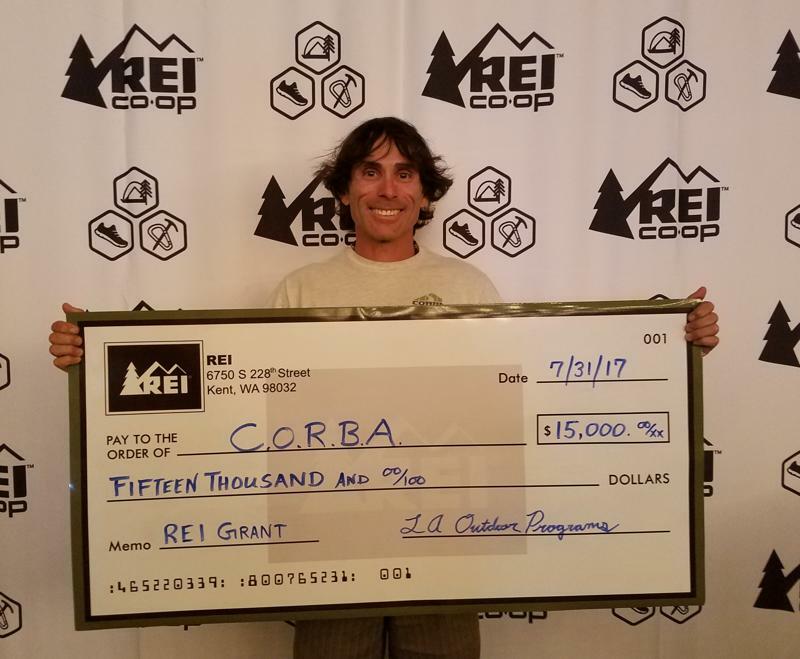 CORBA received a grant of $15,000 from our friends at REI to get the project underway. We�re putting that seed funding to good use, enlisting the services of professional bike park design firm FlowRide Concepts to do the design. They have designed some of the most fun bike parks in the country and around the world. Sapwi Trails Community Park will also include up to five miles of multi-use singletrack trails that could host cross country running meets, training rides for high school mountain bikers and cross-country runners, or even cyclocross events. Work on the first section of those trails began on October 21 and see story below. Read the full account on CORBA's Sapwi Trails blog! 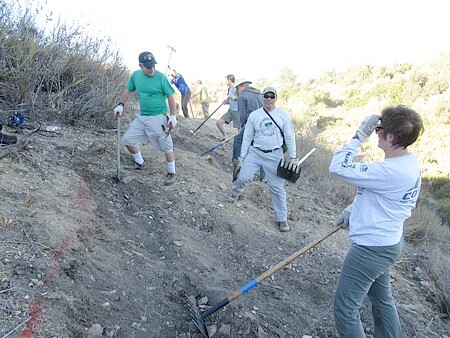 Conejo Annual Fall Trailwork Day, October 21. 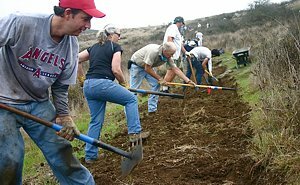 On Saturday during the Conejo Fall Trailwork Day, a group of 193 volunteers helped build the first trail in Sapwi Trails Park. We completed 0.67 miles, about half of the new trail. Some of it was along a very steep cross-slope so we had to move a lot of dirt to establish the tread. Much of the rest of the trail was across a gentle cross-slope, so it can be traversed even if it hasn�t been finished. You can see photos of some of the work that was done in our photo gallery, as well as pictures of the lunch and muk-a-muks who turned out to celebrate the COSCA's 40th anniversary. 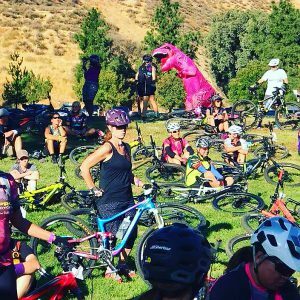 The 7th Girlz Gone Riding Festival and CORBA membership drive was held October 29th at Castaic Lake. Each GGR chapter partners up with their respective IMBA chapter. CORBA is our LA chapter partner. Steve Messer, President of CORBA, spoke about what exactly CORBA does for our community. I'm proud to say that by the end of the day we had another 43 women sign up or renew for their memberships to CORBA. THANK YOU! Riders were staged for their guided rides by ride level. Black Diamond, Blue and Greeneies. Each ride had their respective ride leaders, sweepers and floaters. Off they went for the next few hours of riding. The skills clinics rotated between 3 stations and focused on everything from bike set up, to bike/body separation to cornering and more. When riders started heading back from their rides, they had smiley, dusty faces and were enjoying the vendors at the expo. Every year GGR gives out a community award to the bike shop that shows community love and involvement. This year's award was given to All Pro Bicycles in Simi Valley. Headed up by wonder woman/endurance shredder herself Gina Virzi-Kelly. Thanks to all the individual volunteers, vendors and other organizations that make this 1 day festival happen. Without every single one of them, this very special festival would not take place. So thank you volunteers! To see more about the GGR Roctober Festival and many pictures, visit Wendy's summary on CORBA's blog.